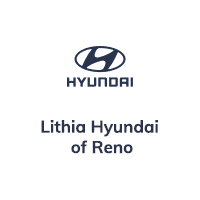 When you’re in need of parts and accessories for your Hyundai car or SUV, be sure to order quality OEM parts from Lithia Hyundai of Reno. We make sure you get the right part that works best with your vehicle so you can avoid any possible damage down the road due to incompatible replacement parts. And if you’re looking to customize your car or SUV, we guarantee our installation of all genuine Hyundai accessories at our service center. When you come to Lithia Hyundai of Reno for OEM parts, you get the added benefit of our replacement parts limited lifetime warranty. If the replacement part you purchased from us ever needs to be replaced, our Limited Lifetime Parts Warranty will cover the cost of the new auto part. Ask your service representative for complete details. With our Fixed-Right Guarantee, we’ll stand by the installation of any OEM Hyundai accessories at no extra cost to you. Don’t take a risk on after-market accessories that can potentially void your warranty. Shop from us and let our experts help you customize your Hyundai. Call us at (775) 682-3335 for details or with any questions about replacement parts & accessories.